Raise your hands if you know that being a wife and mother can get hectic sometimes. No, you wouldn’t trade places or wish it away if you could, however, that doesn’t mean it isn’t stressful sometimes. Though you know you’re only human there’s something that drives you to try and be perfect for your family. They look to you as this superwoman, when really, at times, you’re holding on by a thread. As much as you care about your family, taking on too much and trying to do so without error can lead to a burnout. As a mother and wife, stress comes with the territory. There’s simply no way around that. However, if you start to feel outside of yourself, it could be more than just your average stress. If you’ve noticed any of these signs below, you could be at risk for burning out from trying to do it all perfectly. If you’ve noticed any of these signs in yourself, it is very possible that you’re dealing with a burnout. There is a lot on your shoulders and trying to do it all yourself with the added pressures of doing it perfect has pushed you to your limits. If you’ve started abusing drugs or alcohol, immediate help is encouraged. You can start researching womens recovery centers near you for treatment options. 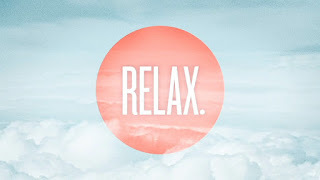 If you’re feeling unusually stressed, the best thing you can do for all involved is find ways to relax a bit more. It's understandable that you want to be the perfect partner for your spouse and the best mom to your children, however, it must be done within reason. First, you must understand that it is okay to make a mistake or suffer a failure from time to time, you are human (whether you choose to believe it or not). Next, utilize these tips below to take it easy on yourself. Ask Your Husband for Help - Here’s a great place to start. Talk with your partner about how you’ve been feeling. Ask him if he wouldn’t mind pitching in a bit more to help lighten your load. He can do some cleaning, take your place for school projects or events, tend to the kid’s needs, or cook dinner to give you a break. Take Some Time for You - Taking a break from life is sometimes necessary to continue doing a good job. When you’re feeling stressed to the max, find a way to take some time for you. Whether you read a book during your lunch break or take a mini vacation to a nearby hotel, it can provide peace of mind. Raising children, supporting and loving a spouse, taking care of a household, and going to work every day can be a lot for one person to handle. This is especially true when she tries to do so without making any mistakes or disappointing others. Believe it or not, it is okay to make mistakes, to say no, and to put yourself first. In fact, when you do, you’ll find that you’re a better wife and mom for it.